Honolulu International Airport, located on the island of Oahu, is Hawaii's largest airport. It's only 17km (11 miles) from the famous Waikiki Beach. Qantas flights QF1 to QF399 operate from Terminal 2. Jetstar flights and codeshare flights operated by American Airlines and Fiji Airways also operate from the international terminal. The sales desk is open from 7am to 2pm. 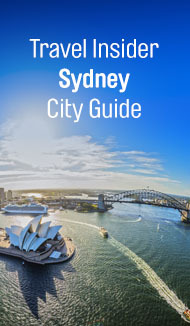 Contact your local Qantas Reservations on 1800 227 4500 within North America for assistance. Check-in for Qantas operated flights is located in lobby 4 on level 2. Check-in opens three hours before the scheduled departure time. Check-in for Business, Chairmans Lounge, Qantas Club and oneworld Emerald passengers is available at counter 2 and 3. Baggage carousels are located in the arrivals hall (ground floor). Baggage services has a counter located in lobby 4 at the Qantas sales desk. You can walk between Terminal 1 and Terminal 2 by following the directional signs. A free shuttle bus also operates. Find out more about lounge features, operating hours and access to the Honolulu International Business Lounge. Lists the transport options for getting to and from Honolulu airport. The airport is approximately a 25 minute drive from the city. Visit Honolulu International airport for current car parking rates or contact AMPCO Parking. Taxis There are plenty of taxis available from outside the arrivals hall. TheBus operates throughout the island of Oahu. Baggage is permitted if it can fit under the seat or on your lap. Information correct as of June 2018. Times and prices are a guide only.